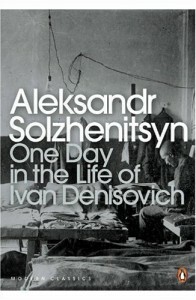 This book is minute-by-minute account of one day in the life of Ivan Denisovich Shukhov, a prisoner in a Soviet prison camp in Siberia in 1943 – from reveille (the harsh tapping of a hammer on stone) to a scuffle over a pathetic breakfast, to line-ups and strip-searches, jostling and morbid joking, stealing time, stealing bread, to warming up by hard toil in the Siberian snow. His life has become a single arduous task: to stay alive on a thin diet of groats, a mysterious substance called “hot skilly” and very little else, all the while engaged in the back-breaking work of constructing settlements in the Siberian wild. The book closes with Shukhov drifting off to sleep. 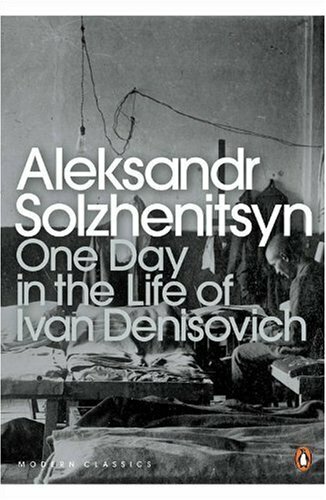 The reader closes the book; tomorrow, the day after, and for every day of his twenty-five year sentence Shukhov will relive it.